Today I'm going to talk about a couple of the newest LDS Children's books to be out for your reading enjoyment. 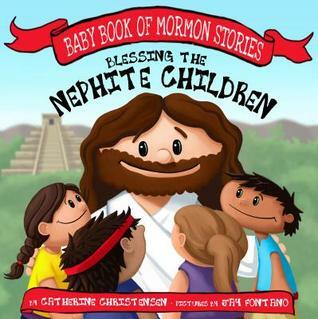 Let's start with Blessing the Nephite Children. About the book: Snuggle up with your kids and learn about Jesus’s visit to the Nephites. This colorful board book is perfectly designed for little fingers and small attention spans. Experience the beauty of Christ’s personal love in the Book of Mormon with your little ones and come to see the ways the Savior reaches out to them today. My review: I really enjoyed reading this book to our 2 year-old! I loved the way that the words were easy to understand, even for someone that young. The pictures are adorable and I loved that the final message of the book is just how much Jesus loves the children and especially the child that you're reading the book to. My little one seemed to love the book as much as I did, even getting a little upset when I removed it from his room. That's got to be one of my favorite things as a mom, seeing our kids grow and learn and love many of the same things that I do! Next up is The Holy Ghost. 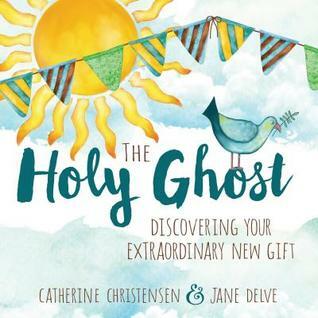 About the book: Get to know the Holy Ghost, from baptism on! This engaging book provides fill-in-the-blank stories, coloring pages, and other fun activities for your kids to help get them ready to receive the Holy Ghost and rely on Him for the rest of their lives. Come to understand and feel the Spirit, one of the greatest gifts from God. My review: This book is simply adorable! I love the way it's like a coloring book, but it teaches about the Holy Ghost. There are places for children to finish pictures, write about themselves and things they like, games for them to play and advice from our prophets and church leaders about how they can best use the gift of the Holy Ghost in their lives. There is even a cute comic book for the kids to read near the end of the book! I love the cute illustrations in this one. It's just a fun book. Perfect for those preparing themselves for baptism, or for those who are learning to use the gift of the Holy Ghost. I think that some of this is even a great reminder for those of us who have already been baptized and just need a refresher. I can't wait to use it in our family's Family Home Evening lessons!